Anyone who’s ever been part of a competition in earnest will know the mental state that can come over you, both before and during the contest itself. 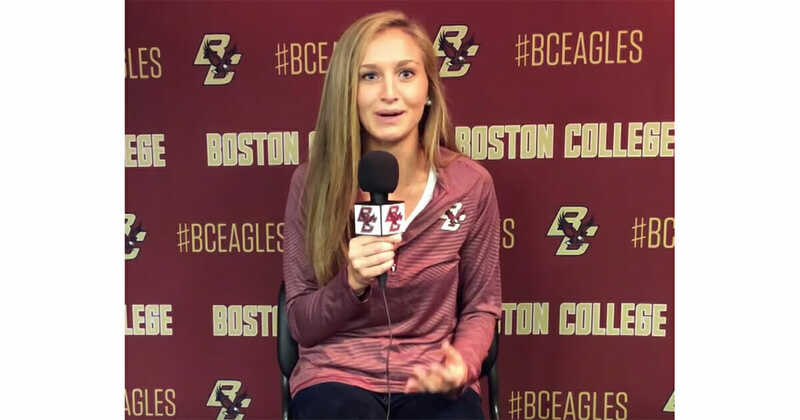 For Madeline Adams, who was to run in the ACC Women’s Cross Country Championship, it was no different. Confident as she’d ever been, she barely gave a thought to the idea that something bad might happen during the race. Instead, her hair was pulled up, her shoes were tied, and she set foot onto the track with the goal of taking home gold. Despite completing most of the track at a strong, steady pace, Madeline began to suddenly tire as she neared the finish line. Speaking to CBS News, she described what happened next: “I was running the race of my life. I was doing incredibly well. I was coming up that hill (to the finish line), I started to feel really fatigued. Madeline could go no further. After collapsing to the ground she tried to regain her footing, but it was to no avail. 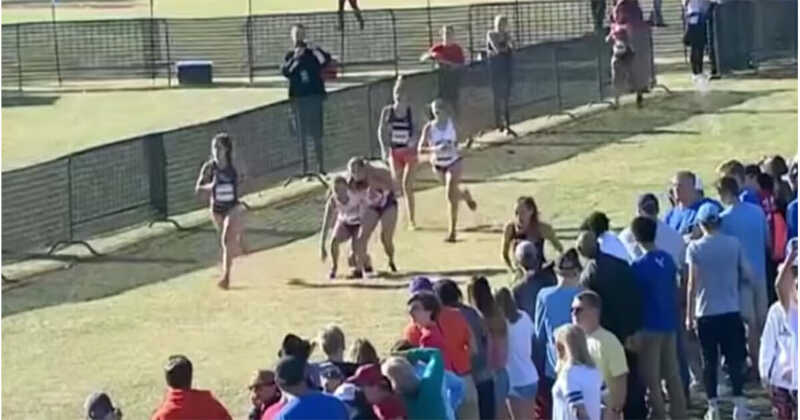 One runner, Evie Tate of Clemson, stopped when she drew level with Madeline, and tried to lift her to her feet. 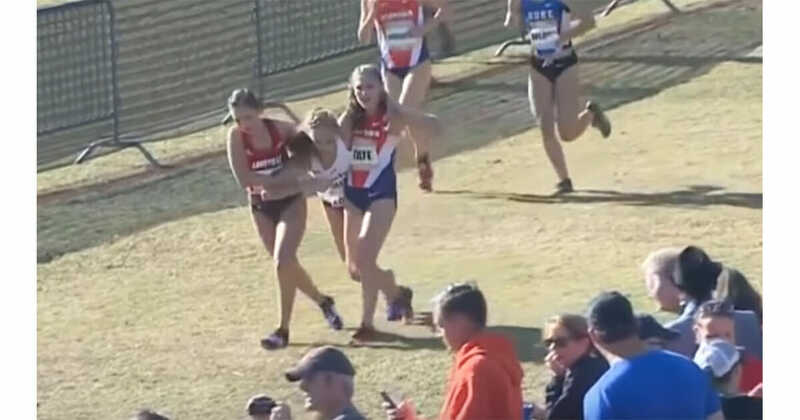 Carrying Madeline’s dead weight alone proved an almost impossible task, but then a second runner, Rachel Pease from Louisville, hoisted Madeline’s other arm over her shoulder and shared the load. Together, the pair attempted to carry Madeline over the finish line together, and though she was forced to abandon the race in favor of being treated for exhaustion by medical staff, it’s something Madeline will never forget. That’s what true competition is really about! What an inspiring story. Help us pay tribute to these two amazing girls by sharing this story on Facebook!